Go higher Junior Highs! 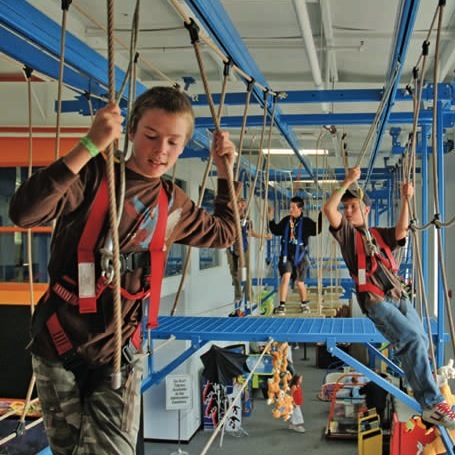 We’ll be heading to Bingemans on Saturday, November 26, 2011 to make use of their high ropes course and rock climbing wall. Climb up as high as you dare while rock climbing or take on the ropes course and travel horizontally two stories in the air – all while safely secured in a harness! Cost for the event will be $14 per person which will get you UNLIMITED use of both the rock climbing walls and high ropes course for the evening! Be sure to bring extra money for snacks (ice cream bars, for example, are available for purchase at the snack bar) and for arcade tokens if you would like to spend some time playing games. Be sure to invite your friends!! PLEASE RSVP TO GILLIAN FENSKE by email or at 519-741-1986 ext. 805 by MONDAY NOVEMBER 21st! We usually like to keep events at around $10 per person, but we think this will be worth the extra expense. As well, all other events this year have been free. We think it all balances out! Please be sure to wear socks and good shoes for climbing! No flip flops allowed! For more information and pictures of what we’ll be doing check out the Bingemans FunworX website. Jr. Highs at Bingemans – YOU MUST RSVP BY MONDAY NOVEMBER 21st!